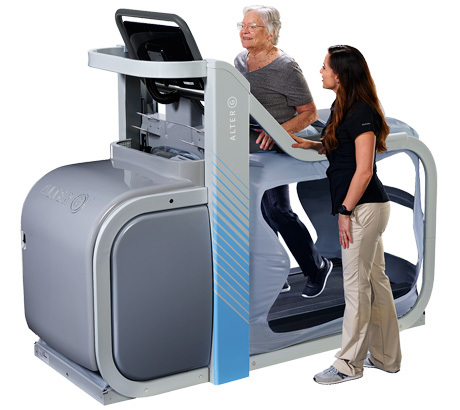 With AlterG®, patients, seniors, and athletes can defy the forces of gravity and push their boundaries to recover sooner, improve physical function, and enhance performance like never before. 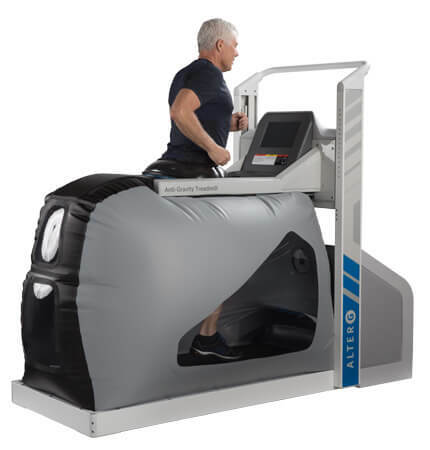 AlterG® develops trusted, leading-edge rehab and training equipment using NASA Differential Air Pressure technology. Our Anti-Gravity Treadmill™ technology empowers people to move in new ways and without pain – to recover mobility, improve wellness, and enhance physical performance. In fact, AlterG can be found in over 4000 facilities around the world and has helped millions to safely and consistently reach their goals and achieve better outcomes. Defy the effects of gravity, enhance freedom of movement, and redefine what’s possible in rehab and training. We are committed to the proper scientific investigation and support of the potential clinical and athletic performance benefits of AlterG technology for a vast number of applications.